Instead of locking your kids inside the house where they are prone to playing video games the entire day, why not introduce them to outdoors activities instead? To add some spice and excitement in their childhood, you should consider a zip line. Who wouldn’t want to ride a zip line? Especially kids who are always seeking for fun and excitement, this is an excellent choice for you. To ensure the safety of your kids while having fun, we created a list of the best zip line kits that you can find online. The following are the safest and effective zip line kits that will assure your kids of a good time outdoors. First, we have the zip line kit from ZLP manufacturer. It’s 5/16″ galvanized aircraft cable can extend from 150 feet to 500 feet. The manufacturer is known for its quality equipment, and this product is not an exception. Its super durable trolley, stainless steel, and dual ball bearing are designed to provide fun for years to come. The riding components include harness, seat, and handlebar. It also features a bungee brake for a smooth stop and a no-pass stop block for added safety. Detailed instructions are included to ensure the safety of your kids while using this zipline kit. 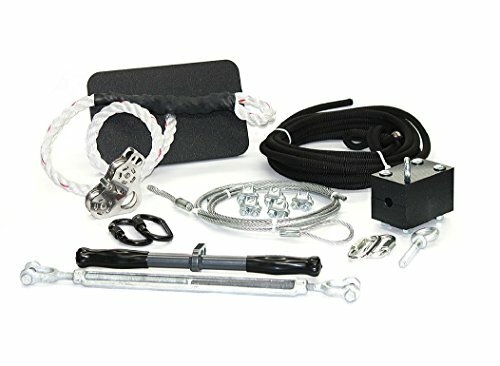 This zip line kit is perfect for those who do not want complicated installation. After installing the product, you can have fun with your family right away! Next, we have the classic zip line kit from Zip Line Gear. Its stainless cable trolley with dual wheel bearings and 10,000 pounds of MBS will bring great fun outdoors. The package includes a harness, handlebars, and a soft-brake bungee braking system. It can accommodate riders weighing up to 350 pounds, allowing adults also to enjoy the product. The modular kit also allows for a fast and easy upgrade if you want to have more fun outdoors. It’s easy to install and easier to use. 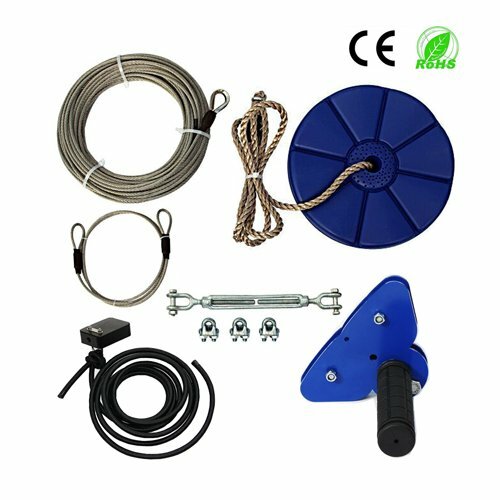 It’s an excellent kit for beginners in zip line as you can upgrade as time went by. The dual ball-bearing system also allows you to enjoy the tremendous speed and fluid motion. Now you can enjoy zipline as much as you want with your kids using this product! This hornet zip line kit is from ZLP manufacturing. It features ZLP hornet trolley with stainless steel wheels for added durability. The maximum weight of the rider who can enjoy this product is 350 pounds. It’s easy to install and provides fun for the entire family. The package also includes a seat for smooth and easy riding. It’s also the first combo trolley we found on the market that allows you to remove the cable easily without having to take the cable down. The galvanized cable is thick and provides added safety to the riders. Entertain your entire family with this zipline kit, and you will find yourself getting addicted to zip line in the long run. Introducing the Fusion climb pro backyard zip line kit. 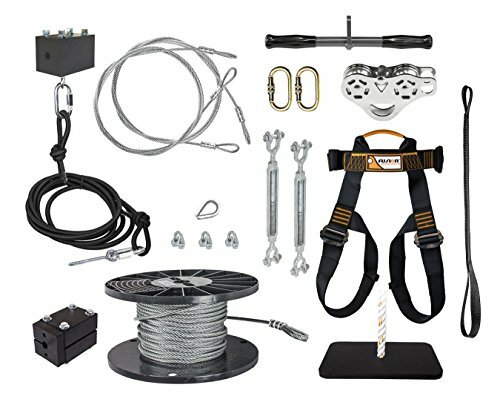 This bundle is perfect for a DIY backyard setup or a professional zip line course for you and your family. Both the harness and the lanyard are made of a heavy-duty 5,000-pound test. The nylon and polyester webbing is more secure thanks to its reinforced stitching. We also like the adjustability in hardness and lanyard to make it comfortable to accommodate people of different sizes and shapes. The high-quality standards ensure your safety while you are riding the zip line and backed up with a one-year warranty. With this product, you can have a professional zip line course in the comfort of your backyard! Another product from ZLP manufacturing is this ultimate torpedo zipline kit. The package includes the ZLP torpedo trolley with dual ball bearings for a smooth and speedy ride. 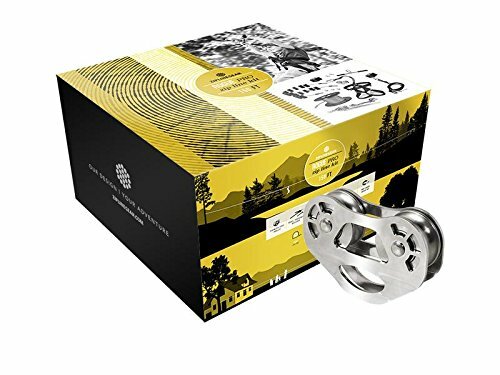 It also consists of the torpedo zip line trolley made of stainless steel along with its double ball bearings for added durability. We like its built-in backup slot that ensures the safety of the riders, especially if it’s kids we are talking about. It also features a ½” by 12” turnbuckle for tightening the cable, a 6-inch cable sling that allows you to wrap it in a tree without difficulty and attach the cable. There are two carabiners for attaching the seat and handlebar to the trolley and a complete attaching hardware for an easy installation. In just a few minutes, your family can enjoy zipline without leaving your property. This zip line kit can accommodate riders weighing up to 400 pounds. 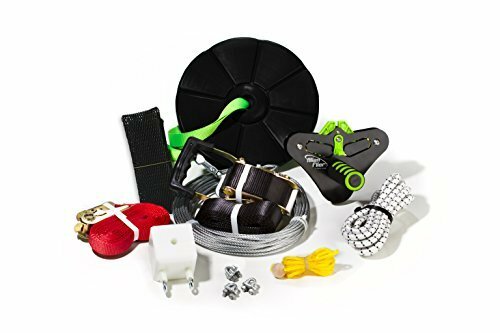 Introducing the Zip Line Gear kit that can accommodate riders weighing up to 350 pounds, allowing some adults to also enjoy the zip line in your house. It features a 16- feet of 5/16″ of galvanized aircraft cable. The package includes trolley with stainless-steel dual-ball bearings that can quickly detach from the cable. It also allows you to have a smoother and faster glide. There are two sets of tree savers blocks to protect the trees in the process. The safety stop block included for a no pass point at the end of the ride. 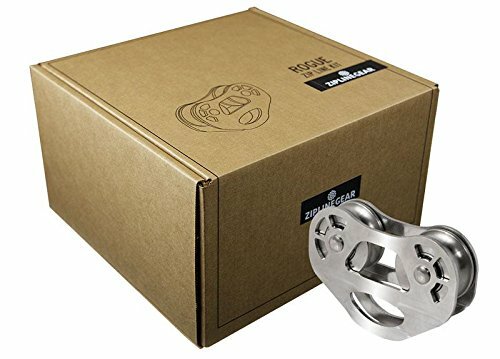 All the hardware and tools that you’re going to use are included in your package for the quickest installation of your zip line. Enjoy hours of entertainment for you and your family using this zipline kit. If you want to experience long-lasting speed control without burning a hole in your pocket, check out the zip line kit from Alien Flier. This EZUp 200-feet cable kit is entirely portable. Thanks to its robust aluminum constriction and tough steel wheels, you can enjoy a faster, smoother, and safer ride in your property. 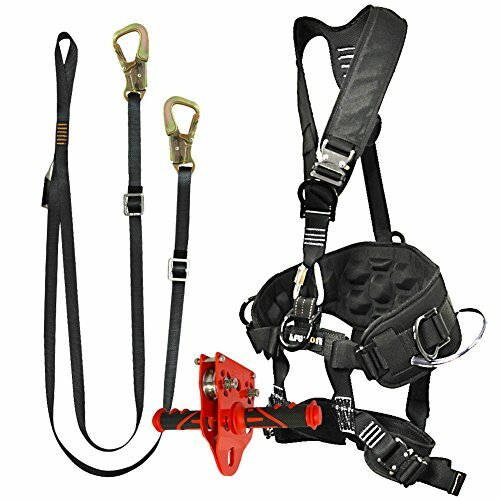 The package includes trolley, pop n’ snap harness seat, 200-feet cable kit, stop-bloc, shock cord and tow rope. It’s easy to install and perfect for kid’s use. Everything you need to set up a zip line in your own house is here. The sleeker design allows riders weighing up to 220 pounds to enjoy the zip line for hours. Provide fun for everyone using this zip line gear that can accommodate up to the 350-pound rider. This kit is for your entire family to enjoy zip line anytime they want. The package includes 150 feet of ¼” galvanized aircraft cable that provides superior strength and weather resistance. With proper care and maintenance, this product can last for a long time. It also features a premium trolley. This custom-designed powder-coated steel trolley features handlebars. It also has dual-bearing wheels for added durability and smoother glide. Stop block with the bumper is also included to create a no pass point for your rider. It’s easy to install and remove. Another product from the Alien Flier is this all-new EZUp 150-feet cable kit. Enjoy long-lasting speed control with this fast and smooth ride. Its sturdy aluminum construction and sturdy steel wheels will ensure durability and safety while using the product. 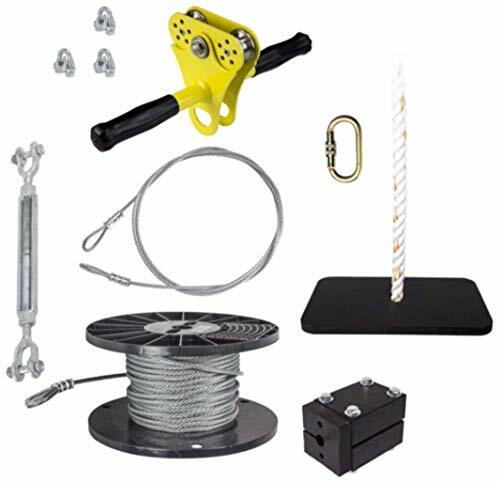 The package includes trolley, pop n’ snap disc seat, 150-feet cable kit, stop block, shock cord, and tow rope. Similar to other products from this manufacturer, it’s easy to install. Everything you need for a quick and easy zip line ride is all included in the package. It’s also a perfect choice for beginners because it’s not a complex system. The added safety features make it an ideal choice for kid’s use. Lastly, we have the CTSC zipline kit. This product includes a bungee cord as a form of a braking system, ensuring that the zip line does not end at a sudden stop. In that way, you have the peace of mind when letting your kids use this product. It can hold riders weighing up to 150 pounds. 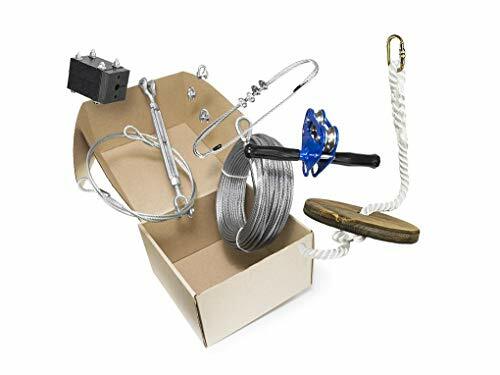 If you are looking for an outdoor adventure that you can introduce to your kids, you should consider this zipline kit. It’s also easy to install, whether you’re planning to use it in your backyard or at your local park. The added safety features make it perfect for kid’s use. You don’t need to be an expert to install this product because step-by-step instructions are included. This personalized zip kit will provide years of fun for you and your family. Below is a list of the top best-selling zip line kits in the market. But before you take a look, let us first discuss how to choose the right zip line kit for your kids and some tips to install this great source of fun. Why should you invest in a zip line kit? It cannot be denied that zip-lining is now considered as one of the famous eco-friendly global outdoor activities for both children and adults. You don’t need to visit your local adventure park just to experience the joy of being suspended into the air and feeling the adrenaline rush. It is an excellent alternative to your workout. One good thing about zip-lining is that it can burn fats and be a great alternative to your workout routine. Riding a zip line regularly will surely help you to tighten your abdominal muscles. Instead of punishing yourself in the gym, why not have fun zip-lining instead? It burns unwanted fats. As mentioned above, zip-lining is a great outdoor exercise. Studies have found that it can burn up to 100 calories per hour. It introduces your kids to the outdoor environment. Instead of playing video games all day inside your house, why not introduce your children to the outside world? Installing a zip-line in your property will entice them to go outside and leave their computers. It promotes a healthy and fun childhood for your kids. It improves eyesight. If your child suffers from poor eyesight, introducing him to zip-lining can improve his condition! How? Studies revealed that by sharpening the long space vision brought about by zip-lining, it could drastically improve the eyesight. This is the first and most important thing that you should consider. Since you are going to suspend your kids into the air, you might want to make sure that they return to land unscathed. All zip-line kits must have double safety features. In that way, you will have the assurance that your kid is safe and secure while having fun. Another thing that you shouldn’t ignore is the type of materials used for the zip-line kit. It is best to opt for kits that are made of long-lasting and durable materials. The last thing that you wanted to experience is the cable snapping into two while the rider is still on the air. Take a look at the braking system of the zip line kit, too. It must have a fully-operating braking system that can help you to assure the safety of the rider. It also contributes to the fluid motion of the ride while you are suspended in the air. You might want to consider the weight capacity of the zip-line, too. There are zip-line kits that can accommodate riders weighing up to 350 pounds. Most of the zip-line kits in the market are solely intended for children. As much as possible, we recommend buying a zip-line kit with a higher weight capacity for added safety. The manufacturer should offer a warranty for their zip-line kit because it involves the safety of the riders. Some manufacturers provide a six-month guarantee while some of them can provide a 12-month warranty. You can start by installing the end of the cable to the tree house or another sturdy platform that offers a fixed height for zip-lining. Make sure that it is strong and can accommodate the pressure of the rider’s weight when operating. Start unrolling the cable towards the end of the destination. From then on, attach the end of the zip-line’s cable to the opposite side. It’s time to test if the ride is smooth and fluid. Retesting for the safety of the riders is highly recommended. Once it passes the test, you can now install the bottom attachment point of the zip-line. Make sure that the rider wears safety gears and harness before riding.